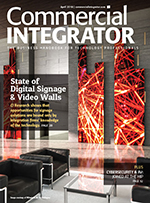 IntelliVision’s addition of cloud service creates another level of control and management for security system integrators. IntelliVision Technologies Corp. recently announced the latest version of its facial recognition technology now runs as a cloud-based service as well as on edge devices and on-premises servers. The latest version of IntelliVision’s facial recognition technology is “highly optimized for in-camera processing and is capable of detecting at least 10 faces in less than one second with only 25 percent CPU usage on an Ambarella S5L-based camera,” according to the press release. As many as 20 faces can be recognized in a single frame. In the cloud-based Face Recognition as a Service (FRaaS), recognition time is sub-second and allows for additional analytics in the overall workflow where camera processing capacity is limited. Facial recognition is part of the IntelliVision family of video analytics solutions that also includes object classification (humans, vehicles, pets and airplanes), intelligent motion detection, intrusion/perimeter watch, object left/removed, license plate recognition (ALPR/ANPR) and audio/sound recognition. 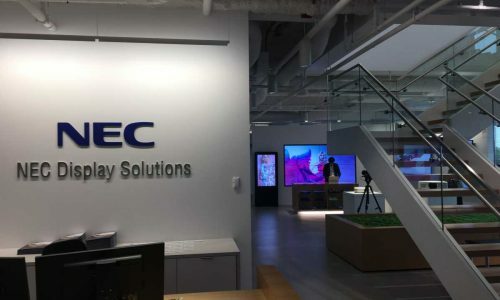 In NEC’s new Chicago area Briefing Center, VP of business development and solutions Richard Ventura talked about the potential the company sees in using AV to help companies garner more information about their customers and those they hope to attract. He described facial detection platforms that enable the detection of age and gender. With that information, retailers can automatically display content that’s more targeted at the customer, he said. “On the back end, from a dashboard, we’re able to give all this as intelligence to the customer,” said Ventura.